Located on Frazee Rd just off Friars Rd and Cabrillo Fwy, Extra Space Storage serves San Diego residents near Mission Valley East, Mission City, Mission Valley, Birdland, Linda Vista, and more. Locals will recognize our facility near US Bank, CVS, and Denny's. Extra Space Storage is about 4.1 miles from University of San Diego, providing options for college students who need convenient storage units over the summer or while studying abroad. 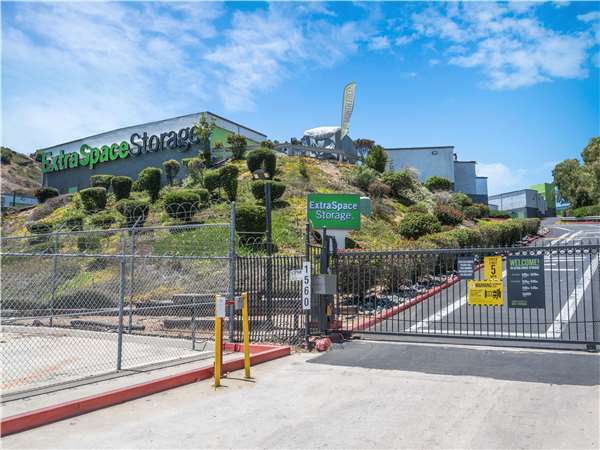 With a variety of storage units, vehicle storage, and exceptional security, Extra Space Storage on Frazee Rd is the storage partner for you in San Diego near Mission Valley East! Units at our San Diego storage facility are available in sizes as small as 5x5 and as large as 10x20. For your convenience, we also have units with convenient features like drive-up access! To ensure the safety of our customers and their belongings, our Frazee Rd storage facility utilizes security features like an on-site resident manager and electronic gate access. Looking for reliable vehicle storage for a car, motorcycle, boat, or RV in San Diego? Extra Space Storage offers enclosed drive-up units and outdoor parking spaces that can accommodate vehicles of all sizes! At Extra Space Storage, we care about providing high-quality self storage and excellent service. From our clean, secure, well-maintained facility to our friendly, professional staff, we go above and beyond to deliver a storage experience you won't forget! Contact us today to reserve a storage unit in San Diego! Awesome customer service. Made the process very smooth and made me feel welcomed. If you need a storage space with flexible gate hours, look no further than extra space. Phillip made this process easy and time friendly. He was extremely knowledgeable about facility and made this a great experience for me. I really appreciate the customer service, they asked me what I needed then showed me options. It’s was a fast in & out, showed me how to use the lock and then some. It would have been nice to show me the cameras, some people are really protective of there stuff. On site manager was very professional and helpful. He showed me my unit options and informed that upgrades to the units were in process which I evidenced while on site. Pricing very competitive and accessible hours very generous. Do not use this facility! Employees are thieves! We rented a small unit six months and just returned to pick up our items and noticed our tv and sounbar was missing but the lock on unit was NOT broken. This was an inside job. Reported this to manager he said he has no clue who stole our items. I called police and will file a claim with better business bureau. The facility is conveniently located, clean, secure, gate hours are longer than most facilites, the price is very reasonable.